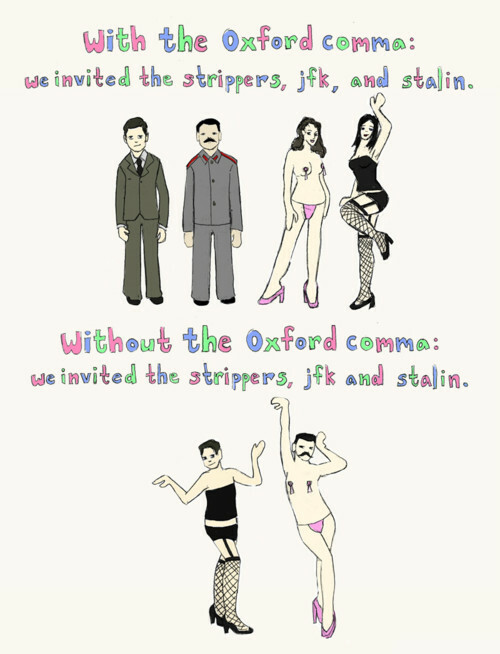 The Oxford comma is a thing of beauty. It can change the entire meaning of sentences and give completely new interpretations and understanding of different situations. In fact, as recent as in February, the Oxford comma was at the center of a legal dispute in the U.S. state of Maine. 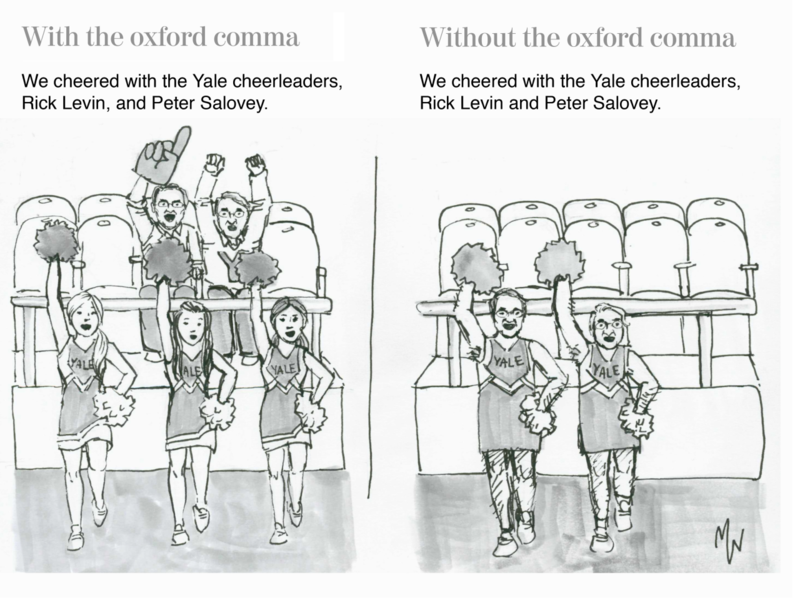 After all, what is the Oxford comma and what is the hoopla behind it? 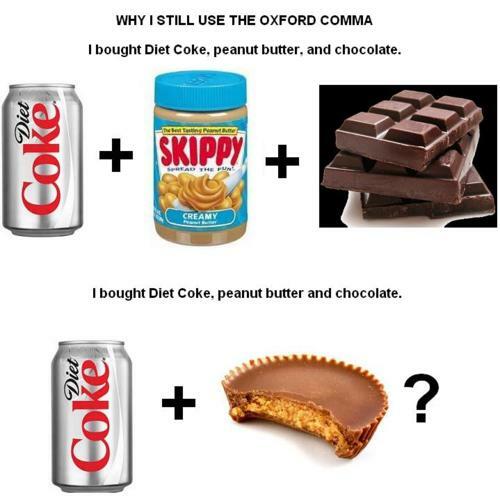 According to the official definition from Oxford itself, an Oxford comma, also known as the ‘serial’ comma, is an optional comma before the word ‘and’ at the end of a list. 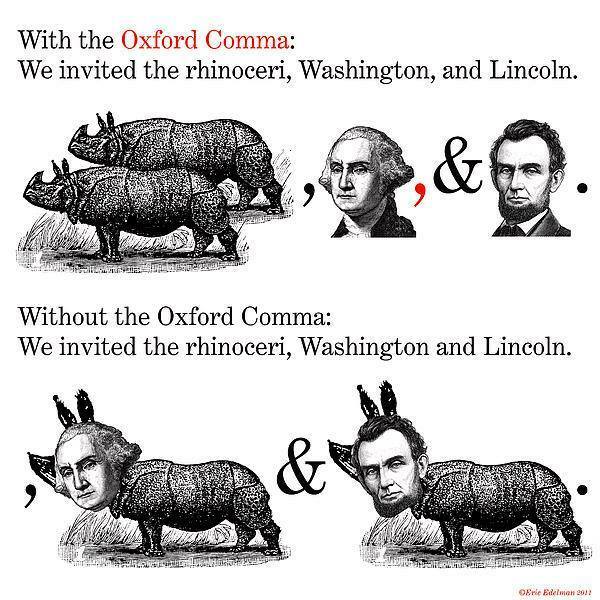 It is called an ‘Oxford’ comma because it was used by readers, printers, and editors at Oxford University Press. E.g. This book is dedicated to my parents, my cat and God. Now you might think that this sentence is okay to use but the pedants among us will read it in a different manner. If you observe carefully, it means that the book is dedicated to my parents, who are cat and God! This book is dedicated to my parents, my cat, and God. All three entities to whom the book is dedicated to are segregated properly, without causing any confusion. As they say, a picture speaks a thousand words. 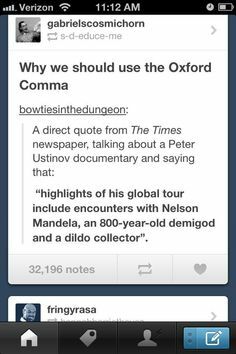 So here are 8 hilarious images we found on the internet that will certainly convince you to use the Oxford comma. 8. Does the idea of presidential strippers intrigue you? 6. Damn! Was this a new peace initiative- Obama marrying Castro? Castro passed away soon, though. 5. Okay, this is a weird food combination. Count me out. 4. Was not aware that Nelson Mandela had such strange, ungodly traits and hobbies. 3. This really takes the cake. 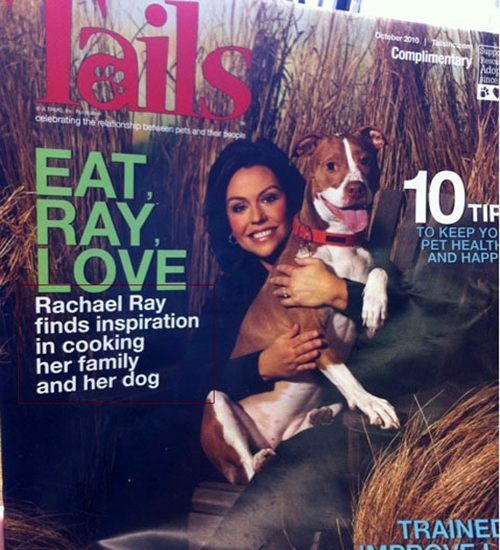 Not only are several commas missing, but Rachel Ray has been turned into a creepy cannibal. 2. A combo of peanut butter and chocolate actually sounds delicious. 1. Would you like your team to have such unique cheerleaders?